"Exhibition on the Decade's Achievements on Ecological and Living Environment in China's Development of the Western Region" was opened at the National Agriculture Exhibition Center in Beijing on July 12, 2010. The exhibition was jointly organized by the State Ethnic Affairs Commission, Ministry of Environmental Protection, the State Forestry Administration and the Committee of Population, Resources and Environment of the Chinese People's Political Consultative Conference (CPPCC). 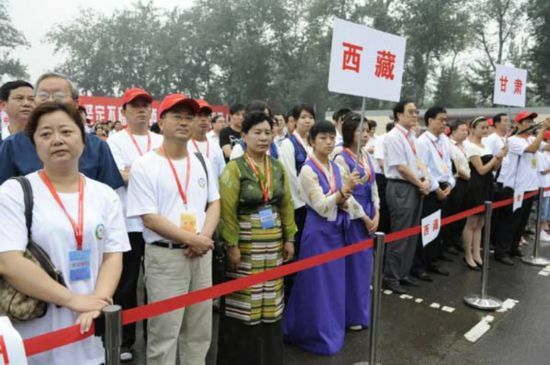 The Exhibition Team of Tibet Autonomous Region attended the opening ceremony on July 12, 2010. Photo by Jiang Gai.